Huawei is getting ready to launch its Mate 20 smartphone line-up, and has preempted the big release — which we expect will be the Pro version — with the early announcement of the Mate 20 Lite. Is this a glimpse at what’s to come from the Mate 20 Pro? No, probably not; but Huawei said because the Lite version is so impressive, it should make you even more excited for the main attraction. Is this an accurate statement? There’s no doubt the Mate 20 Lite is an interesting smartphone, but it is also very reminiscent of other phones we’ve seen very recently. It’s no surprise to see it launch right now. If you’ve read our review of the Honor Play, then you’ll already be familiar with some of the Mate 20 Lite’s features. Let’s look closer. Let’s just say up front, this is a very good-looking phone. It comes in a beautiful glossy black, sapphire blue, or platinum gold, with a glass rear panel that recalls the crisp, smart design seen on the back of the Porsche Design Mate RS. It’s the centrally stacked camera lenses and fingerprint sensor that does it, complete with an etched design surrounding them. It’s slim at 7.6mm, comfortable to hold thanks to the curvy sides, and lightweight at 172 grams. You’re looking at a 6.3-inch notched screen with a 2,340 x 1,080 resolution, providing an 81 percent screen-to-body ratio, which matches the Honor Play. This is great news, and icat appears the panel is identical too — meaning it’s bright, colorful, and engaging. Rather than use the Kirin 970 chip from the Play, the Mate 20 Pro has a newly-revised Kirin 710 processor, along with 4GB of RAM. This is the same setup Huawei uses in the Nova 3i, which also shares the same screen size and resolution. We have not run benchmarks on the Kirin 710 to see how it compares to the Kirin 970, which is currently an upper-range processor from Huawei. Let’s just say up front, this is a very good-looking phone. A 3,750mAh battery powers the Mate 20 Lite, just like the Honor Play, plus the phone has the same GPU Turbo enhancements for high-performance gaming, the Game Suite mode, face unlock, and EMUI 8,2 over the top of Android 8.0 Oreo. Hold on, you’re thinking. Is this just a recycled Honor Play or Nova 3i? No, we’re getting to the differences, but it can’t be denied the Mate 20 Lite seems to occupy a small space in-between these other devices. Outside of the premium materials, Huawei tells us the Mate 20 Lite is great for selfies, and it is. We played around with the front camera, which features two camera lenses — 24 megapixels and 2 megapixels, with an f/2.0 aperture — and liked the results. The environment we were in was quite dark, making it hard to judge how much difference the second lens made when generating the bokeh effect, compared to the P20 Pro we also tried at the same time. The photos looked good from both, which is strong praise for the Mate 20 Lite. Interestingly, the front camera has scene recognition, auto HDR, and an auto beauty mode. The camera also creates animated emojis, which Huawei calls Qmoji, and these were decent enough; but far from fluid as Apple’s Animoji. We can see kids having fun with them, and Huawei has made the sensible decision to let us save them as GIFs, meaning they’re easily shareable. Artificial intelligence continues to be a theme throughout the Mate 20 Lite. The rear camera has an f/1.8 aperture and two lenses — 20 megapixels and 2 megapixels. Again, the environment we tested the Mate 20 Lite in did not lend itself to taking pictures. There is plenty of artificial intelligence built into both the front and the rear cameras. Artificial intelligence continues to be a theme throughout the Mate 20 Lite. It’s most obvious in the camera, due to scene recognition, but also crops up in the noise cancelation mode for calls, and in an Amazon-driven shopping experience. Here, Google Lens-style image recognition kicks in when tapping a photo of a product online, when results from Amazon are shown. The Gallery app has A.I.-driven smart search, plus the Game Suite uses A.I. to help manage power resources during gaming sessions. The Mate 20 Lite worked really well in our brief hands-on time. It felt very familiar though, and this is something of a problem. Not only does the Mate 20 Lite feel like Huawei on autopilot, as this is a phone it has essentially made a few times over, but it doesn’t offer masses more value over the Honor Play. 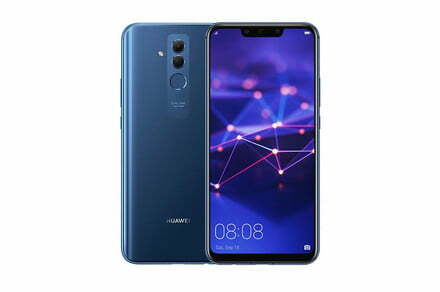 While Honor is closely related to Huawei, they are two separate companies in terms of strategy, product release, and management. Therefore, it’s impossible for us not to compare the two, and the Honor Play provides a very high percentage of the Mate 20 Lite’s features, for less money. Huawei will charge 380 British pounds for the Mate 20 Lite when it goes on sale in the U.K. this October. The Honor Play costs 280 British pounds. Huawei said it doesn’t have plans to release the Mate 20 Lite in the U.S., and the Honor Play is also unlikely to be released outside Europe. The extra money buys you a glass body, another camera lens on the front, and a lot of AI toys. All strong, desirable features that make us like the Mate 20 Lite. However, we’re saddened by what may be a lesser processor than the one inside the Honor Play. If you value design and premium materials over sheer value for money, the Huawei Mate 20 Lite will serve you well, but for everyone else, the Honor Play will probably do just fine.